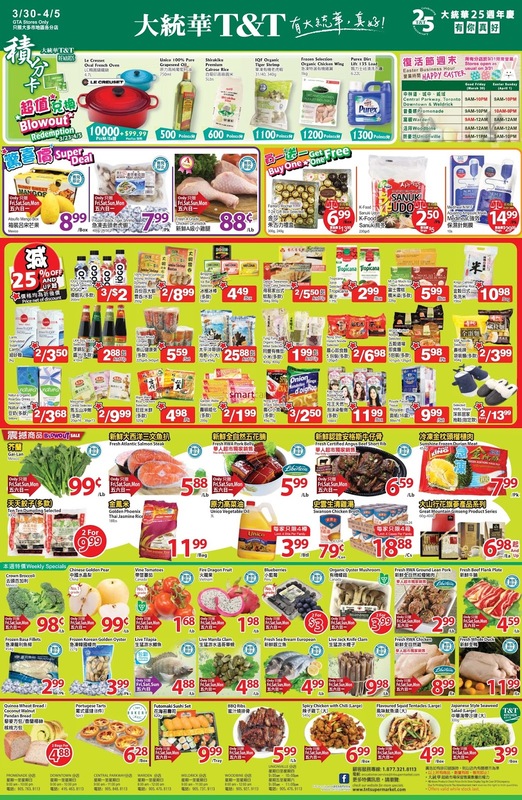 T&T Supermarket Canada Flyer March 30 - April 5, 2018 - For Beloved One Selected Bto-Cell Mask Double Set 59.99 /ea. 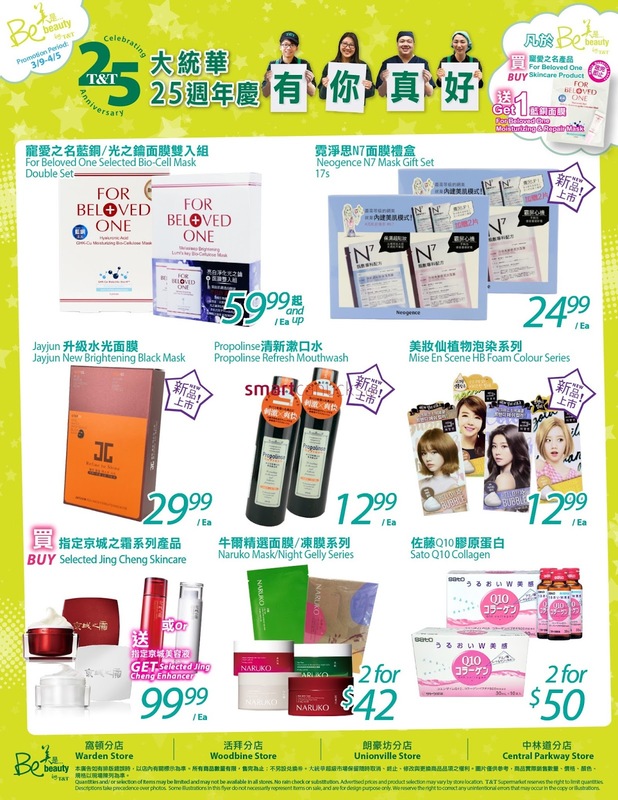 Jayjun Jayjun New Brightening Black Mask 29.99 ea. Neogence N7 Mask Gift Set 17s 24.99 /ea. Propolinse Propolinse Refresh Mouthwash 12.99 ea. Mise En Scene HB Foam Colour Series 12.9. Jersey Evaporada Evaporated Creamer 370 ml 2/$1.50. Leslie Chips Selected 155g 2/$3.50. Aroy-D Young Green Jackfruit 565g 1.79 /ea. Oishi Ribbed Crackling 2/1.99 Salt&Vinegar /Ea 100g. Bulacan Longanisa (Hot/Regular) 375g 2/$5. ANFresh Frozen Shrimp AA-1 Frozen Black Tiger Shrimp /Ea HIO. 15-18, 454g 1199 /Ea. 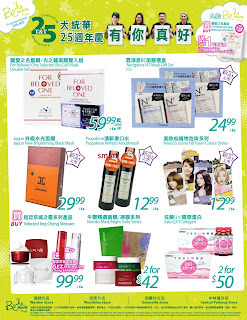 Selected Jing Cheng Skincare 99.99 /ea. Naruko Mask/Night Gelly Series 2 For $42. Lantic Granulated Sugar Lantic 2kg 2/3.50. 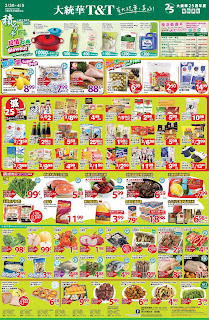 Natur-a Organic Rice/Soy Drinks Selected Natur-a 946ml 2/3.68. IOGO drinkable Yogurt Selected 200ml 3/$2. LKK SOY Sauce Selected 410ml 2.88 and up. Mayaueshan' Cereal Selected 20gx16 - 38gx13 2/9.99. Taisun Mixed Congee Selected 225g x 6-340 g x 6 5.59 /set. Want Want Rice CPatkers Selected 520g 4.98/pk. Bringgae Melona Ice bar Selected 560ml 4.49 /pk. Pacific Intl Sea cucumber (small/large) 227g,454g 25.88. Garden Wafer Selected 200g. Delizea Taiwanese Style Cake Selected 384g,500g 2/5.50. Tung Fung Organic Bean/ Millet Selected 400g, 800g 1.99 and up. Nong.Shim Snack selected 45g - 75g.